happy n prosperous new year . it is surely not a great idea to let the kids party in open. I second Lohit!!! :) happy new year!! Oh my these are fabulous. 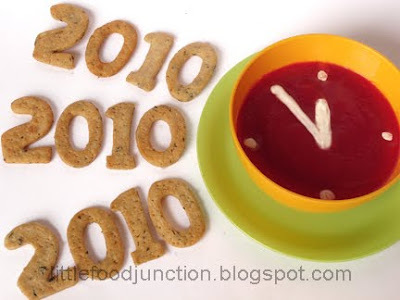 Happy 2010!! All the comments are mind blowing . How do you think about such lovely ideas ????? the soup one is tooooooo good n vvvv good depiction also !!! @ Lohit Verma- A very Happy New Year to u too Lohit. Thanks for such kind words, surely such lovely comments inspire me to create more. @ Mindful Meanderer- Thanks MM n a very Happy New Year to u too. @Kellie- Thanks Kellie, A very Happy New Year to u too .